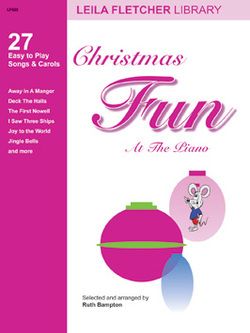 Christmas Fun At the Piano is a collection of 27 songs and carols for late elementary/early intermediate pianists. Large print and lyrics make this the perfect songbook for Christmas cheer. Titles include: Angels We Have Heard on High; Deck the Halls; Jingle Bells; Silent Night and 23 other popular tunes. Christmas Fun At the Piano is a great addition to any music library.